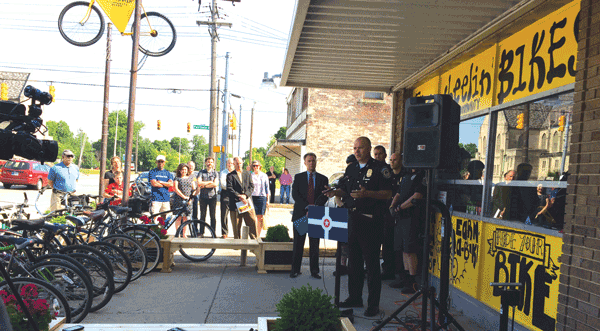 IMPD Chief Troy Riggs and Mayor Joe Hogsett announced the donation of 50 unclaimed bikes from the IMPD property room to Freewheelin’ Community Bikes in June 2016 as part of a comprehensive community outreach and engagement initiative. 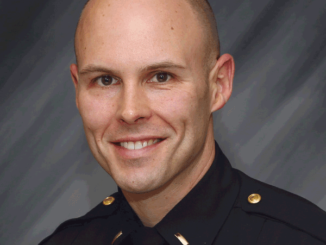 It’s been a year of changes for public security in Indianapolis: Mayor Joe Hogsett took office in January 2016 and appointed a new chief, Troy Riggs, to lead the Indianapolis Metropolitan Police Department (IMPD). Those changes at the top have had an impact on Midtown—from implementation of beat policing, to providing wraparound social services for those in need, to increasing the number of drug arrests and reducing the number of homicides. Chief Riggs attributed that impact in part to the overarching goals and objectives he set for the department to strengthen relationships with the community. 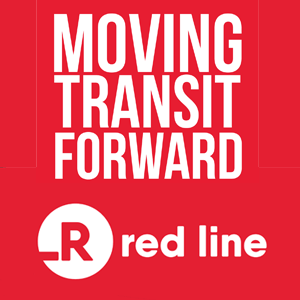 Those goals: reducing crime, reducing fear of crime, and enhancing public safety. So far, the approach is paying off. North District—where Midtown is located—had 41 murders in 2016 as of Dec. 1, compared to 43 through the same period in 2015. Eleven of the 2016 homicides occurred in Midtown, compared to 23 in the area in 2015. Those statistics include North District’s Zone 10 and Zone 50, which cover about 90 percent of Midtown. Rev. Charles Harrison and members of the Ten Point Coalition support a grieving family. CLICK TO ENLARGE. The Crown Hill neighborhood is one example. 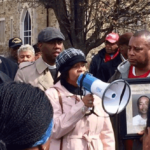 The area marked one year without a murder on Nov. 6 with a peace walk, only to have that change Nov. 11 with the fatal shooting of a man in the 3600 block of Kenwood Avenue. 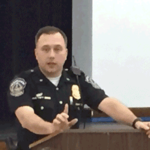 Harrison said the partnership between the coalition—whose goal is to reduce violence and homicide through direct engagement—and IMPD played a big role in the Crown Hill area going a year without a murder. 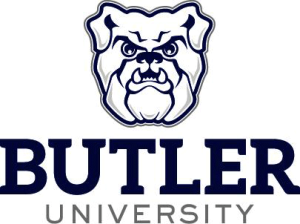 Clark Kirkman, president of the Butler-Tarkington Neighborhood Association, said Harrison helped Butler-Tarkington weather a “terrible storm” last year when a violent situation appeared to be spinning out of control. 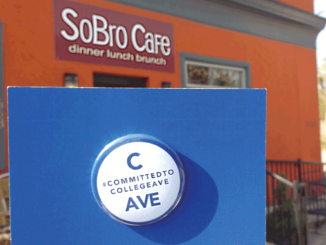 Rob Sabatini, public safety director for the Broad Ripple Village Association, agrees. “I can sum up public safety improvements in the Village during the past year in two words: Chris Bailey. A look at the number of drug and vice arrests as well as guns seized and drugs taken off the street in North District since Vice/Narcotics and FLEX teams started operating at a district level in May shows how beat policing and officers’ visibility and relatability is working. North District has made 247 drug and vice arrests, taken 84 guns off the streets, and confiscated almost $68,000 and 25 vehicles through the end of November 2016. In that same period, 1.5 pounds of cocaine, a half a pound of heroin, almost 20 pounds of marijuana, and a half a pound of meth were seized. In addition to getting drugs and guns off the streets, recent sweeps have also focused on helping those left behind who may be in need of social services. A new app called Community Cop will also give officers an option to immediately address the systemic issues that drive crime, such as unemployment, food insecurity, and mental illness. 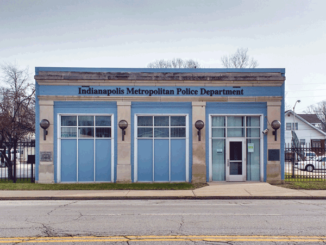 IMPD partnered with Bitwise Solutions in Carmel to create the program, which will allow officers to immediately make referrals intra-agency or to external human and social services agencies throughout the community. Help those who IMPD encounters receive assistance in a timely fashion in hopes of minimizing or eliminating the likelihood of a criminal offense. Help reduce cases through the criminal justice system by better leveraging existing community assets. Assist IMPD to track referrals, create new profiles, and search existing ones. 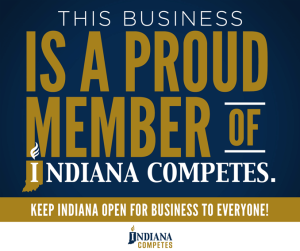 Increase referrals by facilitating communication between IMPD and social services agencies. As for Midtown and North District, Bailey has several goals for 2017. He’d like to expand on the number of meetings held each year with pastors from the hardest-hit crime areas (the group met three times in 2016) and “adopt” abandoned homes. 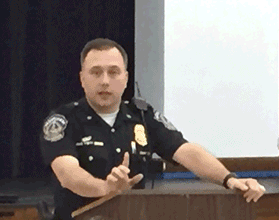 IMPD could work with residents to keep the grass cut or to board up houses when needed—“projects we can partner with residents on to make a difference in their small part of the world,” he said. Other goals Bailey has for Midtown/North District include increasing bike patrols in neighborhoods, increasing the number of citizens who do ride-alongs so they see what officers do every day and how they can help, and partnering with IEMS on projects like East District’s Shalom Project, to have an officer and EMT ride together to deal with issues. A version of this article appeared in the December 2016/January 2017 print edition of the magazine.